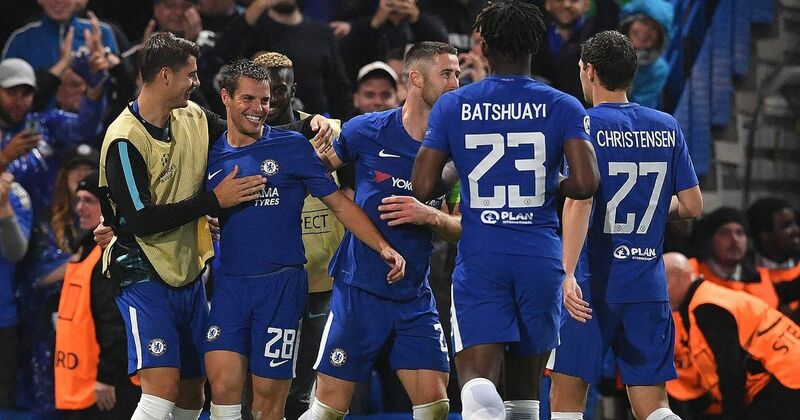 Chelsea FC - The best hope for success as an English team in the Champions League. After the first group games in this weeks Champions League were completed, TV Pundit and Ex-Pro Rio Ferdinand believes that Chelsea are England's best hope for success this season. As we all know the game the other night was an expected result against what can only be described as the whipping boys of the group. I mean no disrespect to Qarabag when I say that but it's clear to see that they have done fantastically well to get this far but that will be as far as they go. Their defending on the night was schoolboy standard if we are honest. 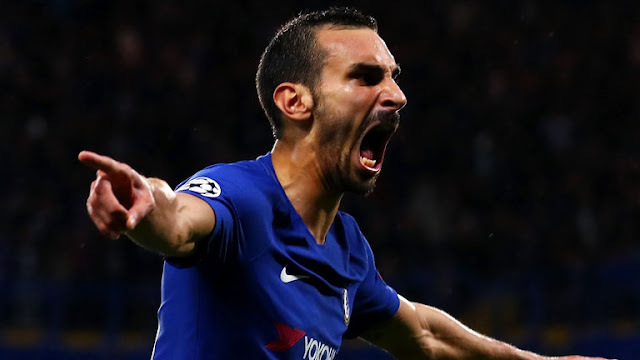 However, a team is still there to be beaten and Chelsea put in a professional performance to win 6-0 with Davide Zappacosta and Tiemoue Bakayoko scoring their first goals for the club in addition to Michy Batshuayi scoring his first for the club in the Champions League. "Maybe their strength in depth is their only Achilles heel that I find in their team. I think they are a very well balanced team. I think the manager (Antonio Conte) works hard, he drills them daily on tactics. They have an understanding of each other as individuals but also as a team. In that sense I think Chelsea are our best hope as an English team. A lot of the other teams you can see deficiencies in the squad." - Source: London Evening Standard. I have to agree if I am honest. 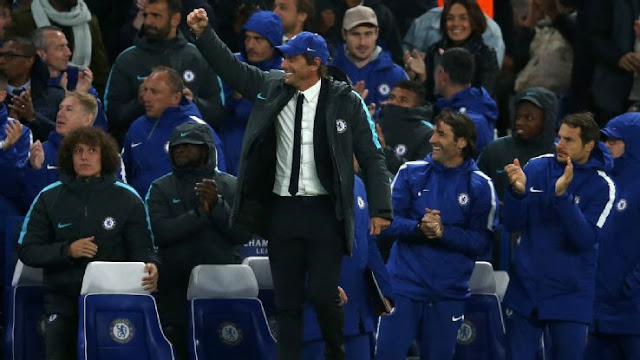 OK, I have to admit that I was a little concerned by the lack of depth to our squad as we headed into the new season but the deadline day signings in addition to our other summer signings have made significant improvements to the options we have available now not forgetting the fact that Andreas Christensen has been implemented into the first team seamlessly. Manchester City still need to sort out their defence. Without Kompany at the back, City are all over the place and will ALWAYS give the opposition chances to score. I was more than surprised when they didn't add a world class centre-back in the summer. Manchester United have major issues at centre-back in my opinion. Are Phil Jones and Eric Bailly good enough to provide a solid foundation to make a real challenge this season? I doubt it. Again, I was more than surprised that a world class centre-back wasn't added in the summer. Liverpool have had problems with their defence and goalkeeper for as long as we can remember. Always conceding goals and giving the opposition chances to score, Jurgen Klopp has missed a trick in the transfer windows he has seen through at the club. When push comes to shove they will fail when it comes to the big games both domestically and in Europe. Tottenham are our biggest challengers this season on both fronts in my eyes. They normally have a solid defence, a hard-working midfield and an attack that will always score goals. Their downfall is the fact that they lack that extra belief that they can win trophies. We are yet to see their team come up against on of Europe's big guns away from home in a key fixture and how they would handle it. As for Chelsea? It's all down to the manager. He made a key decision last season to switch tactics and quickly sort every single player to buy into his thinking while demonstrating how they can be solid at the back but also devastating in the final third. Winning the Premier League last season was fantastic and now the players will look to the manager once again. As Rio Ferdinand says, Antonio Conte drills his team day in, day out on the tactical side of the game, in defensive areas and will work so hard on preparation for each game. Once we play Roma and Atletico once in the Champions League we will have an idea of where we stand in the group and qualification to the latter stages. So what do you people think of the English teams chances in the Champions League this season and what has been said here of Chelsea? Do you agree that we are England's best hope of success?